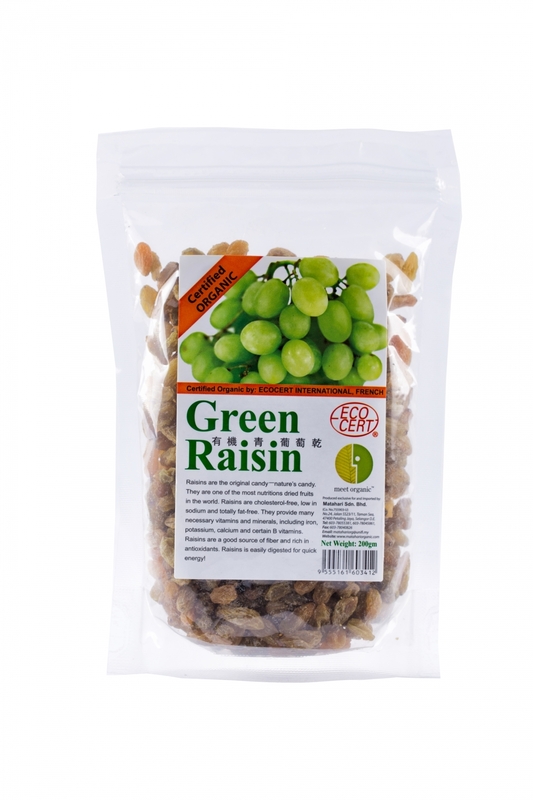 Raisins are dried grapes/currants. However, unlike fresh grapes, they indeed are rich and concentrated natural sources of energy, vitamins, electrolytes, and minerals. In addition, they are packed with several health benefiting poly phenolics anti-oxidants, dietary fiber, and other phyto-nutrients. § They can be enjoyed as a snack, all alone without any additions. § Sprinkle over to enrich fruit salads and ice creams, deserts...etc. § Add to bakery items like chocolates, cookies, muffins, bread, puddings, biscuits, cakes, waffles...etc.